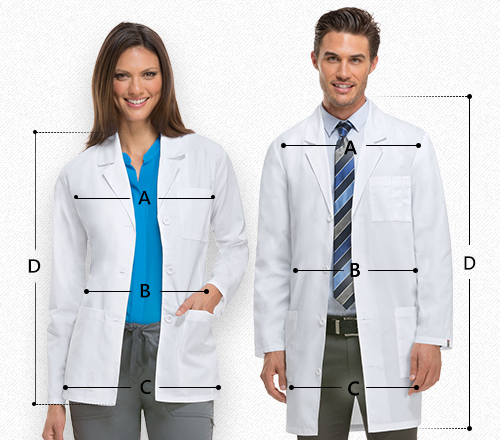 Get the best looking lab coat loaded with functional features with Cherokee. 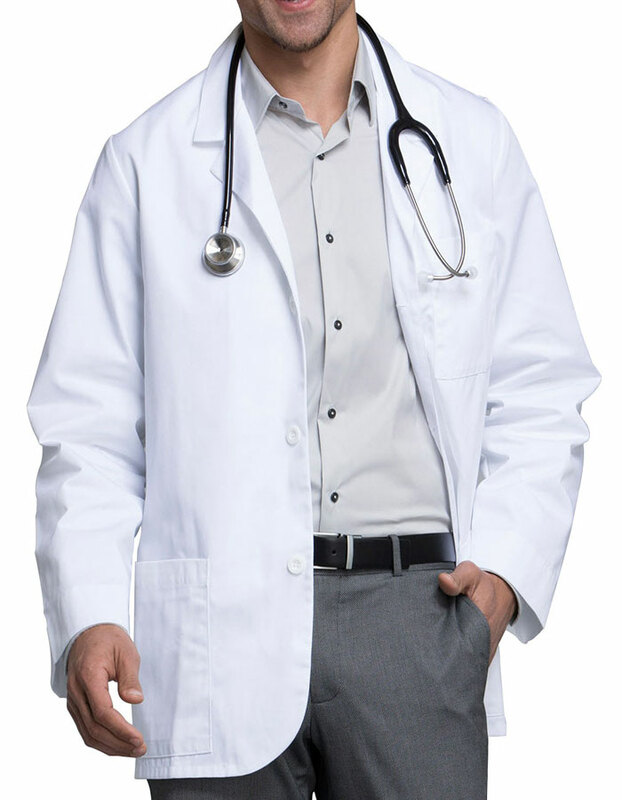 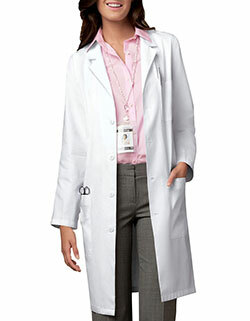 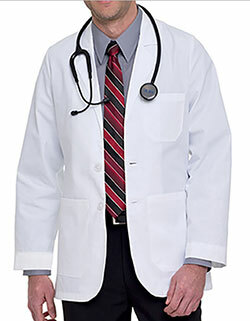 The stylish lab coat features a three-button front closure and a notched lapel collar. 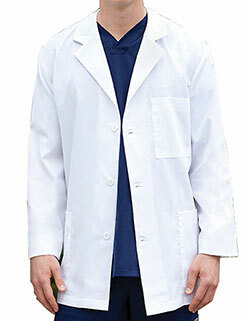 The multi-pockets make it ideal for storage, whereas the vented back aids in movement.